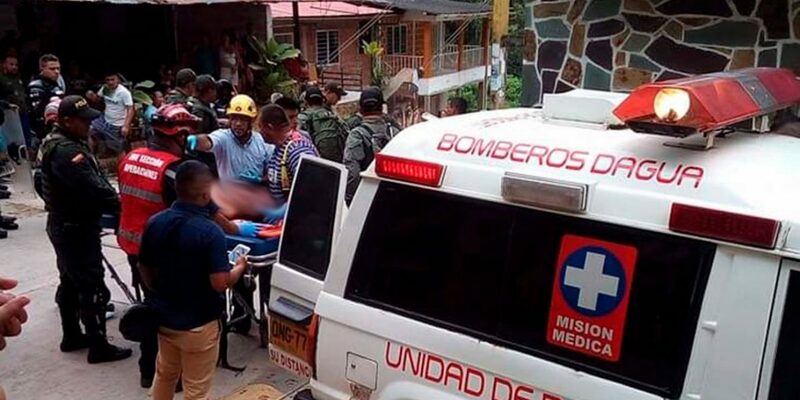 At least eight indigenous guards were killed in an explosion at an indigenous reserve in southwest Colombia, according to indigenous authorities that did not rule out an attack. The explosion at the reserve in Dagua, Valle del Cauca took place after more than 10 days of protests and clashes between indigenous protesters and riot police and one day after a policeman was shot dead. The attack took place while indigenous guards were preparing the arrival of some 5,000 protesters to join the alleged 20,000 protesters who have been demanding a meeting with President Ivan Duque since March 10. Indigenous peoples from southwest Colombia have been protesting since March 10 to demand a meeting with President Ivan Duque about his government’s failure to implement peace policies, and demand respect for indigenous land rights. The president has refused to meet with the protesters and did not respond to the deadly blast. Tensions in the region rose on Thursday after Duque and Defense Minister Guillermo Botero blamed the unarmed protesters for the death of the policeman on Wednesday. Far-right supporters of the government spread images of indigenous guerrillas from 2012, falsely implying the protesters had shot the policeman. Protest organizers stressed that the indigenous were unarmed. One indigenous leader from the region said that the shot that killed the policeman came from an area where no protesters were present and could have been fired by a sniper.